The Titan Binlifter is the king of all binlifters! This Titan has the ability to tip 1100L, 660L or dual 240L bins all in one unit. The Titan Binlifter is the king of all binlifters! This Titan has the ability to tip 1100L, 660L or dual 240L bins all in one unit. 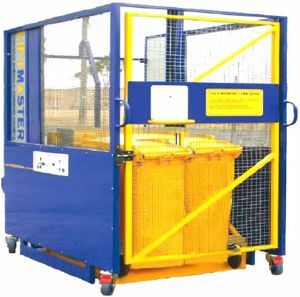 The unit is fully enclosed for maximum safety and can lift up to a massive 1000kg per lift. The Titan is ideal for large supermarkets, convention centres, shopping centers and any area where large amounts of waste are disposed of on a daily basis.